Discover the intriguing world of Mexico you can drive to today. We highlight some of the most rewarding and interesting cities and destinations in Mexico worth visiting. Mexico provides different places that will give you something new to explore as a Mexican or a foreigner. Driving to and from the scenic wonders of Mexico requires the single most important document you can purchase for you trip which is Mexican Car Insurance. Online Mexican automobile insurance will save money and provide the only Mexican car Insurance protection recognized in Mexico. For more information or to buy a low cost reliable policy visit Mexican Insurance Store.com exclusive purveyors of quality Mexican Car Insurance online. Valid Mexican car insurance is now required in order to drive legally on any highway in Mexico. Coupled with very attractive places just waiting for you to discover, you can enjoy mouthwatering authentic Mexico food, a fun gripping experience and have enjoyable shopping. Regardless of your needs, whether you are in search of a place to work, a place with a great night life, superb outdoor or indoor fun thrilling activities or simply an interesting place to drive to, then the capital of the State of Yutacan, Merida in Mexico is the place for you. Well known for its beauty, the city of Merida is one of the most interesting Mexican places you will definitely fall in love with. Founded decades ago in 1542 over the remains of the Mayan City T’ho, Merida is one of the safest cities you can drive to. It has a fascinating array of cultural influences. During your visit to the city, you can easily access a diversity of Merida’s best restaurants where you can be sure to enjoy exceptional local dishes made from the hearts by the Meridan people. Not only will you be able to experience the warmth and generosity of the Meridian people but you will also be able to drive to the most attractive sites in Merida. Some of these exceptionally beautiful sites and places include the famous Montejo’s house, El Centenario Zoo, Canton palace, Markets, Macay museum, Cathedral, Monument to the fatherland, Paseo Monteojao to mention but a few. . Characterized with superb architectural styles and designs, top notch decorations and a story behind the construction of these beautiful sites worth seeing, be guaranteed of an experience of a lifetime. You will also have an opportunity to be able to learn a lot about Mexico. Your outdoor fun activities will be characterized by a peaceful and safe surrounding, good climate and ambiance and also friendly Meridan people to make you feel at home. Whatever your style or need, Merida City has it all; the most exciting places for you to drive to. So, carry your camera, get away from your everyday life and visit Merida city today and start making the most unforgettable memories. Interesting Places to Drive to in Mexico and Mexican Car Insurance! Long and stunning beaches are found in Mexico. People from different countries never get tired of visiting Mexico back and forth. Previous post: Secret Mexico Beaches and Mexican Insurance Online! 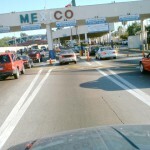 Next post: Be Safe In Mexico with Car Insurance for Mexico Online!